McCain – who is in line to become the chairman of the Armed Services Committee when Republicans take control of the Senate in January – said the Air Force is “trying to take away one of the most effective weapons systems” by retiring the A-10 fleet. Air Force officials did not immediately return calls Thursday seeking comment. 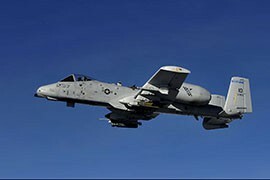 The A-10, also known as the “Warthog,” was introduced in the early 1970s. The heavily armored, fixed-wing aircraft specializes in close-air ground support and has the ability to take heavy fire while attacking tanks, armored vehicles and other targets. Defense Secretary Chuck Hagel announced in February that the Pentagon planned to retire the entire A-10 fleet and replace it with new F-35s, a move that he said would save $3.5 billion over a five-year period. 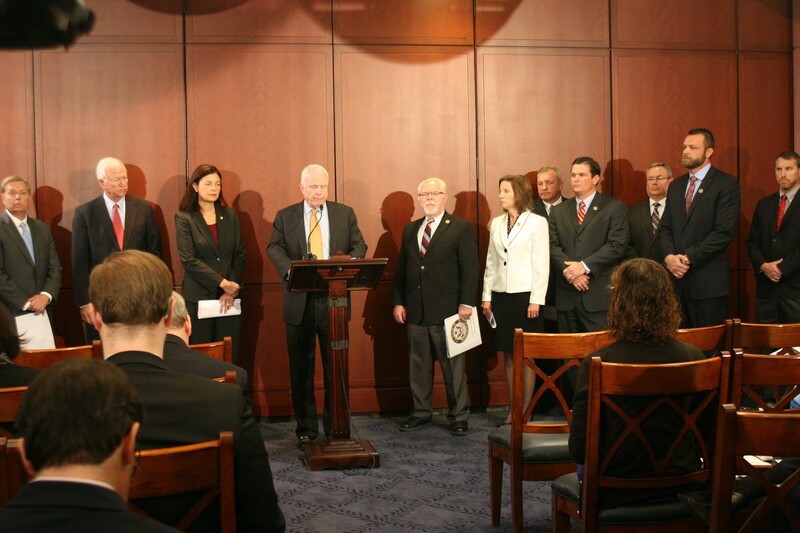 But lawmakers killed that plan earlier this year, restoring the A-10s to the Pentagon budget for 2015. Keeping the fighter jets around is crucial for Arizona, where Davis-Monthan Air Force Base in Tucson is the only place in the world where A-10 pilots are trained, said Bruce Dusenberry, president of Southern Arizona Defense Alliance. 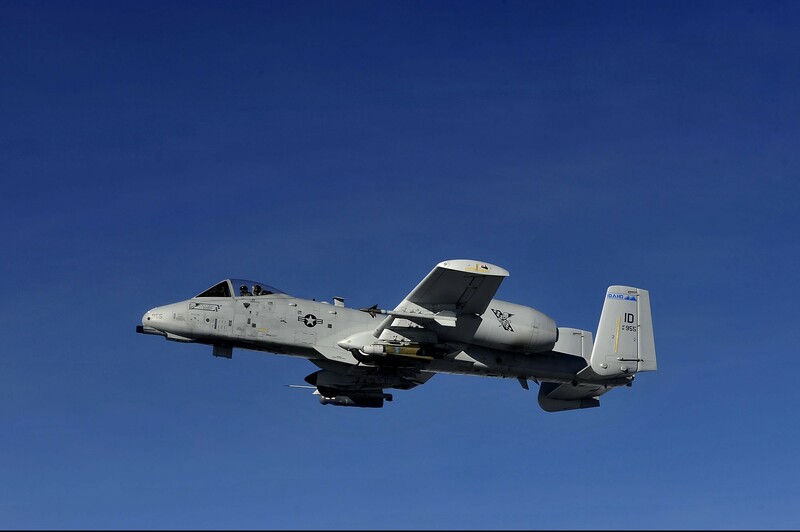 Lt. Erin Ranaweera, chief media relations officer at Davis-Monthan, said the Pentagon’s proposal would affect about 1,900 personnel at the base – including those training, flying and working with A-10s. He said he does not believe that retiring the A-10 is something that the Air Force really wants to do but is being pushed to do so by budget concerns. Charlie Keebaugh, president of the Tactical Air Control Party Association, was one of the former service members at Thursday’s event in the Capitol who heaped praise on the decades-old jet. “It is truly a game-changer to have an A-10,” Keebaugh said. Barber, the only Democratic lawmaker at the news conference, said the continuing use of the A-10 is an issue that has brought both parties together. 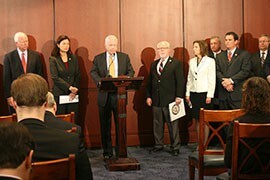 “We will continue to fight this battle into the next Congress, if necessary,” he said. 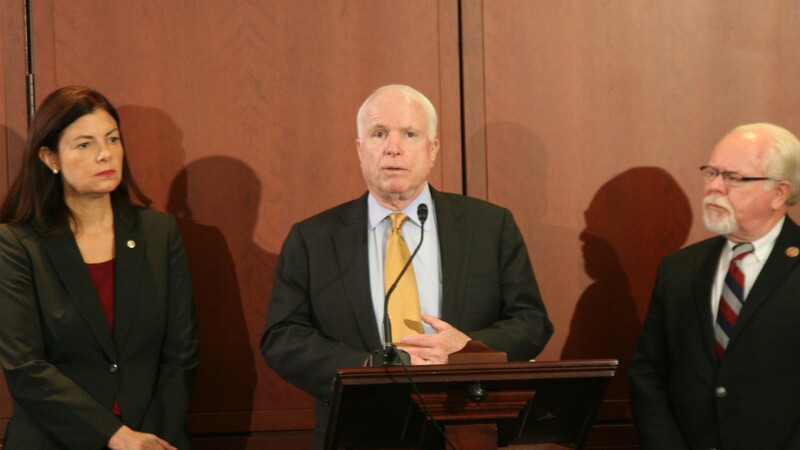 Arizona Rep. Ron Barber and Sen. John McCain joined other lawmakers and former soldiers Thursday urging the Air Force to reverse its plans to retire the A-10 and stop what one said would be ''a travesty.'' Reporter Stephen Hicks found out why. Lawmakers calling for the Pentagon to keep the A-10 flying were joined in Washington by former soldiers, who praised the fighter jet's ability to protect ground troops in close-in fighting..
An A-10 from the 124th Operations Support Flight flying over Utah in early 2012. Congress is trying to block Pentagon plans to retire the 40-year-old close-support fighter jets in favor of new F-35s.